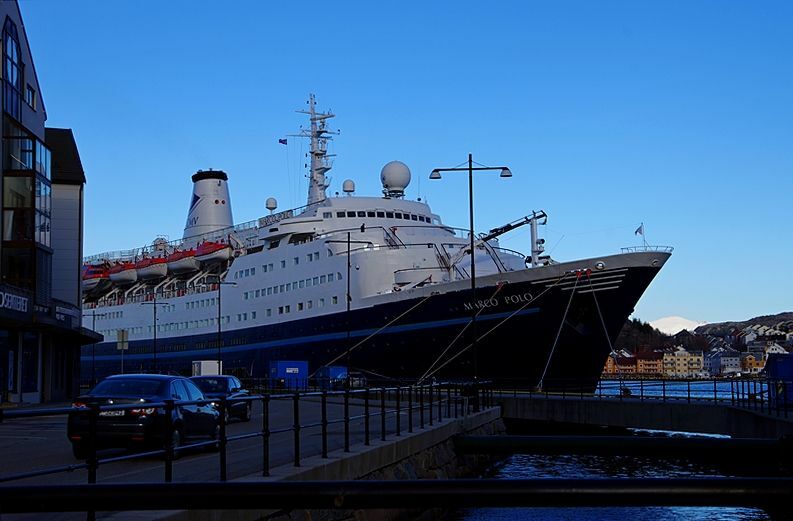 A thread for Cruise Ships visiting Norway or Norwegian waters in 2015. 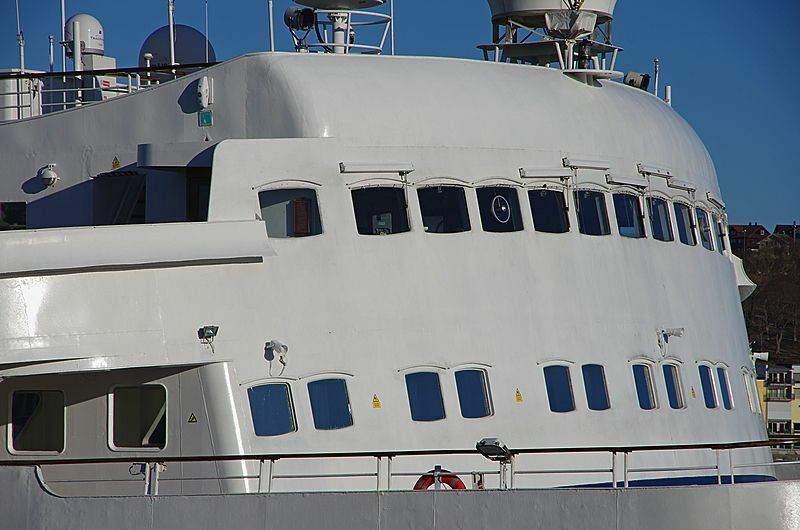 They have noticed that there will be fewer ships visiting, but why the difference between their list and the official one?? What I notice is that the Queens are not on the list this year. Why??? 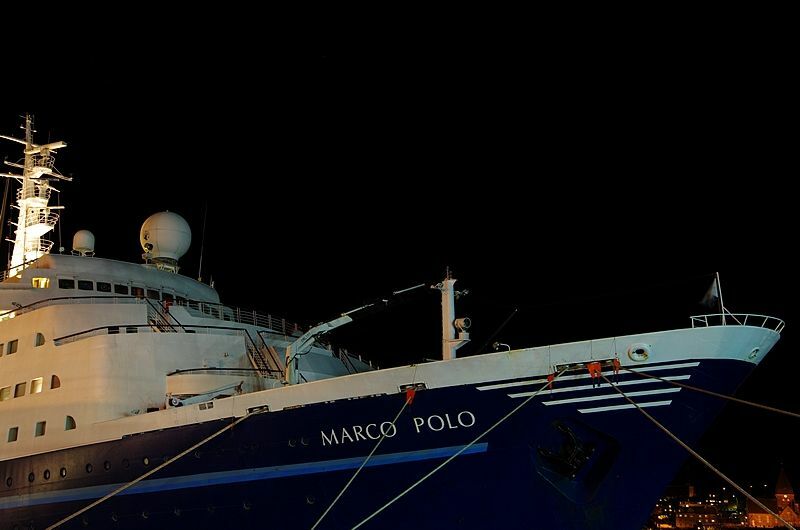 Like Ombugge says, no Queens, very few P&O boats, even a reduced number of Princesses? What have we done to upset Carnival? Even at 11.6NOK to the £ (we were not quite 9 to the GBP a couple of years ago)? Mind you I suppose these things are planned years in advance. 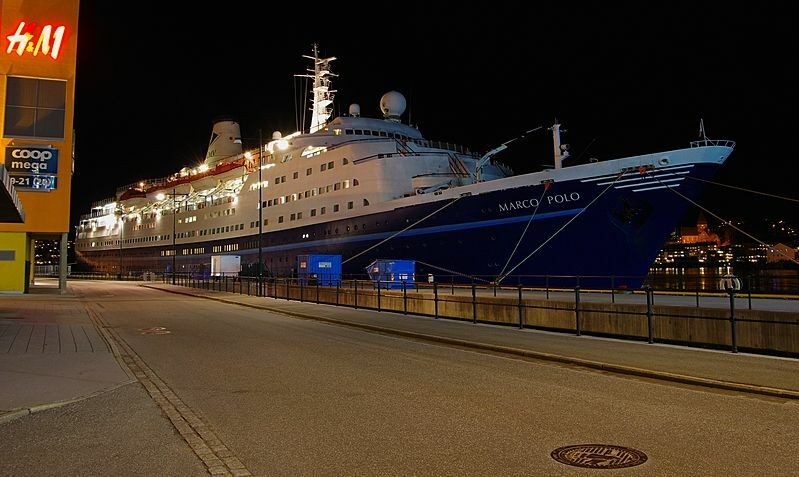 Outside of the official schedule of cruise ships calling Kristiansund this season, MARCO POLO came scilently through the Markussundet inlet Thursday morning at 0800. I had no time left to go see her then, so my images are from after work and late in the evening, as she left for Geiranger at 0130 Friday. So then the clock had passed 2100, and it was time to try out my new remote control for the Pentax, making it possible to lift the mirror before shooting. There are fewer and fewer left of these classic ships, and even fewer still without that ridiculous duck-tail installation. Therefore I belive we have to take their pictures before it's too late. Pretty details and well arranged. You are right, there can never be enough pictures of these classic liners. If I could only insert a heart here, I would do just that. 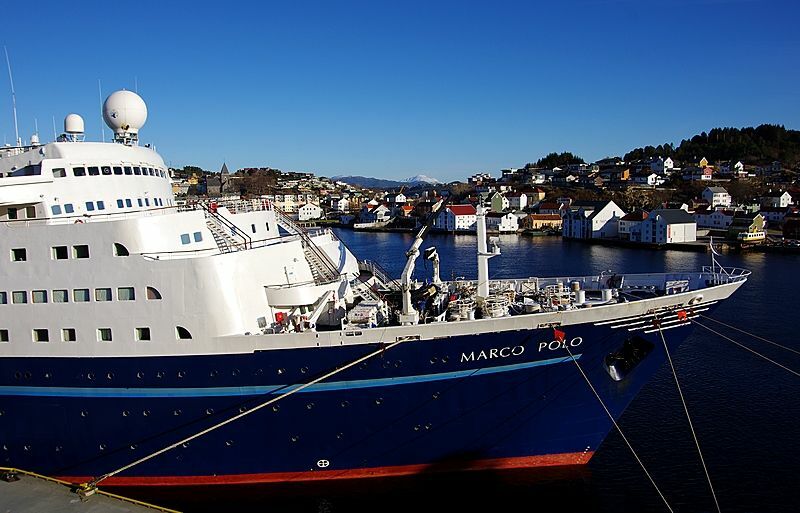 The Marco Polo also came in to Trondheim on an un-announced visit when they suffered engine problems off the coast--- got some pics to share too, as soon as I have downloaded them. Your images of the ship in your town is brilliant. I simply love this ship, perhaps because she is one of the few classical ships left. I have been reading of M S Gann's voyages up the Norwegian coast every three years for woodturners. I suggested to my better half that he goes off to Norway in 2017 but he is not at all sure about any rough weather.....! Presumably at other times the Gann is training seamen. 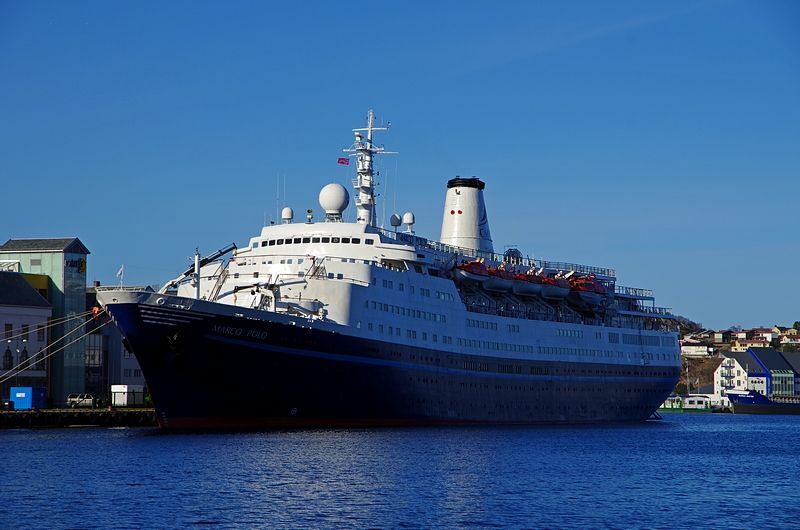 P & O’s newest cruise jumbo, MS Britannia, entered service on March 14. 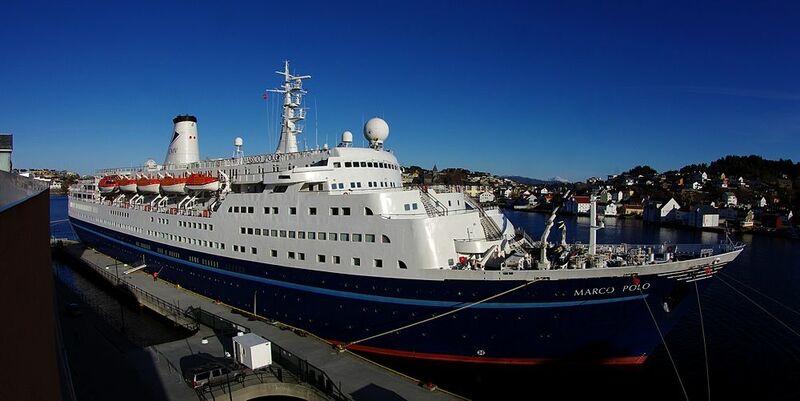 On April 29 she will visit Flåm with nearly 4.400 passengers and 1.400 crew, 5.800 people in all, the largest number of persons to be brought to Flåm on one keel up to now. And I’ll be there to have a look…. an amazing sight , but no way will I go on a cruise ship this size. , long live the smaller ships. please . WAOW... that would be an amazing site, but naturally, April 29th is a workday for me (as usual). Nothing happens when I have time off, but when I'm on duty, everything happens. No matter what, it always happens when I'm on duty. Hi Kiki! Just wanted to wish you happy travels for Saturday and a great cruise. Norwegian Star isn't it. Sorry I can't get across to Norway to say hello! 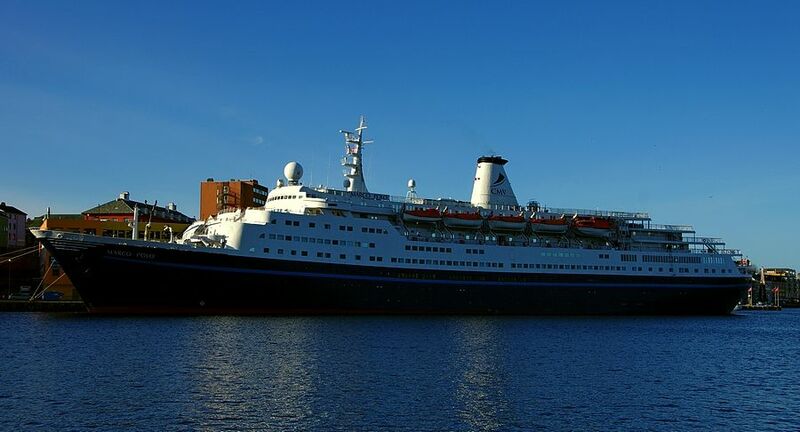 The seasons first cruise ship, MS Magellan, calling at Eidfjord today. 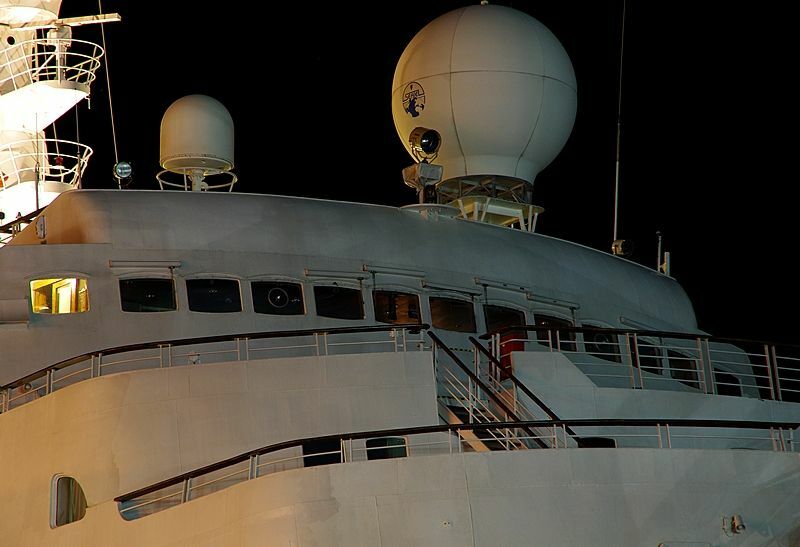 Which first cruise ship Sigve? The blue and orange one? I assume that somebody else will come with more details of this maiden call in Norway by the Britannia? ?